As a global partner, Bosch Rexroth supports mechanical and plant engineering efforts around the world with its cutting-edge technology and unique industry knowledge. More than 38,000 associates across the globe are developing tailored, safe and resource-friendly solutions. Bosch Rexroth innovations deliver multi-dimensional enhancements for machine manufacturers and end users. For example, they help to reduce harmful carbon dioxide emissions while simultaneously raising productivity. Above all, Bosch Rexroth makes it easy to use cross-technology solutions by means of predefined functions and integrated engineering tools. Do you wish to give a boost to your production and maximize the running hours of your equipment and business? And also achieve a dramatic drop-down in energy consumption -related expenses at the same time? If yes, we are here for you. Just contact our office and we´ll arrange a meeting. 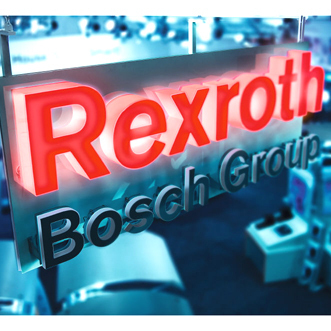 You´ll learn more about Bosch Rexroth´s comprehensive systems and the multitude of possibilities of their applications. Litemaster Oy can and will deliver an integrated solution that is tailored specifically for your particular needs.